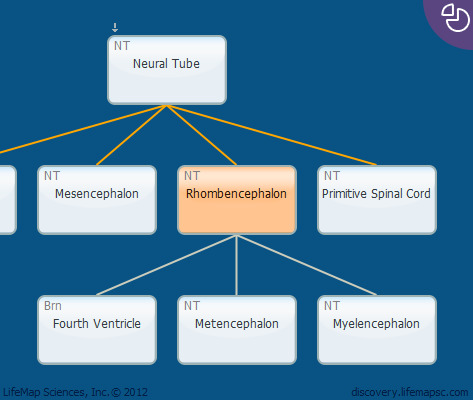 The rhombencephalon is the most caudal region of the future brain. It first appears on E9 and is further subdivided to the following regions: Metencephalon- the most rostral part, which appears first on E11 in mouse and gives rise to the pons and cerebellum. Myelencephalon - which appears first on E11 and gives rise to the medulla oblongata. Spinal cord - which detaches from the other parts of the rhombencephalon on E11.5.